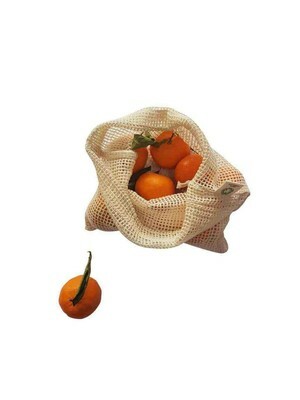 These certified organic mesh produce bags are ideal for your fruit, veg and herbs. They’re breathable which means you can leave your fruit and veg inside the bag. Produce bags are designed to be used over and over again, unlike the flimsy single use plastic bags pushes at shoppers in supermarkets. These produce bags give you the consumer the power to make a difference and vote with your feet. Be part of the circular economy, not the linear with reusable produce bags.